Vitivinicola Rota –The quality of tradition and innovation. The Rota winemaking company has a property of 67 acres used for its winemaking, and rents out another 51 acres to neighboring farms. Castellazzo is in the heart of the territory of Lambrusco wine, traditional Balsamic vinegar, and Parmigiano Reggiano. 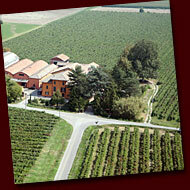 The farm is easily visited; located between Modena and Reggio Emilia and only one km. off the Via Emilia. Vitivinicola Rota is one of the few farms with a private winery. We do all production phases; from the production of the grapes, their transformation into juice and wine, to bottling the final product. Primary sector (agriculture), Secondary (industrial), and the tertiary (marketing) are all under one management for maximum quality control. 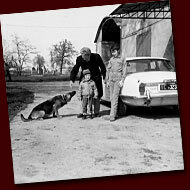 The family tradition in winemaking dates back to 1907 when Roberto Rota was managing a winery in the nearby village of Arceto. His son Benso took over this job, and then, through his skills, managed to buy land, grow grapes, and build his own winery. This specific farm, Castellazzo, came from the division among the heirs of one of the largest farms in the territory owned by Benso Rota. The land of Castellazzo was the first Benso acquired in the middle of the fifties and remained at the center of activity because of the winery that he remodelled and enlarged in 1960 over an existing winery built at the end of the 1800’s. The farm is now managed by Benso’s son, Dario Rota, who gave up his profession as an architect in order to dedicate his efforts and enthusiasm to the Vitivinicola Rota and fullfill his childhood passion of farming. The total capacity is 50,000 hl. The winery was originally designed for national and international wholesale trade and manufacture of vines and musts. 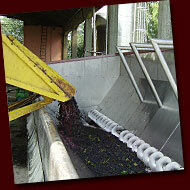 Now only a part of it is being used — that section which transforms the grapes coming from the farm’s native vineyard. In order to achieve the best quality of wine, the building has recently been renewed with oenologic equipment of the last generation such as refrigerators and stainless steel tanks. 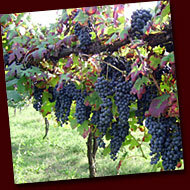 The grapes grown are typical of the area: Lambrusco Salamino, Lambrusco Maestri, Lambrusco Marani, Lambrusco Grasparossa and Ancelotta. The vines are trained along a divided trellis (a Geneva Double Curtain - G.D.C.) and are entirely mechanized. All operations, like pruning vintage, are made using in-house labour and machinery. In order to achieve the maximum control of quality, we do not hire outside companies. Following the best modern crop techniques and thanks to the generous and rich soil, vineyards are never irrigated, even during the summer months. The average production is therefore lower, (around 140 ql. Per hectar), than the average of the area, (around 200 per hectar and occasionally 300). The vines gain an enormous benefit.We produce healthy grapes with little or no use of pesticides that are high in sugar, polyphenols, anthocyanins, tannins, and resveratrol; all qualities that give wine structure, body, strong colour and taste. The company has embraced organic farming methods since 2005. The farm is certified as “organically grown grapes N. 1644/09”.